Only $5, with a $2 rebate if you buy a featured bottle! 100% Viura. This wine is a bright pale yellow color with greenish reflections. The fruit in the nose and palate are fresh, with notes of pear, apple and citrus. The palate is juicy, with floral hints. The mouthfeel is round and vibrant and the finish is fresh and pleasant. This wine is best served with pastas in light sauces, fried and steam fish, sushi and all kinds of salads. Ideal by-the-glass as an aperitif, served chilled. 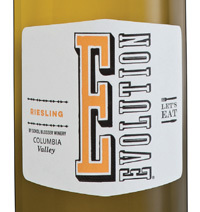 This fruit-forward wine shows great intensity as it is poured into the glass, with hints of grapefruit, pear, honeysuckle, and citrus blossoms to name a few. A little sur lies aging adds a little weight to the mid-palate without sacrificing the refreshing crispness form entry to long, lingering finish. 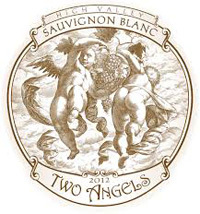 Added flavors of honeydew melon and mineral notes are evident on the palate. Serve slightly chilled, a great accompaniment to fish and shellfish. A complex nose of smokey red fruit, vanilla and mild peppery spice. 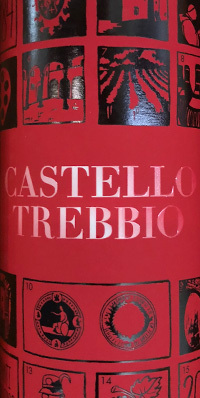 A core of plum, cherry and raspberry fruit with added characters of spices and vanilla on the palate, the wine is backed with a long, lingering, finish. Roasted or BBQ meats and fuller flavored cheeses. 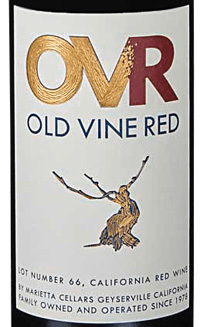 Old Vine Red is a proprietary red wine made to replicate the field blends of many of the old vineyards in Sonoma and Mendocino Counties. 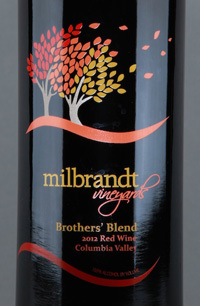 Predominantly comprised of Zinfandel, Old Vine Red combines pure fruit, a supple mouth feel and a rich, solid structure. A groundbreaking combination of varietals and multiple vintages first produced in 1982, this wine has blazed the path for red blends for decades. 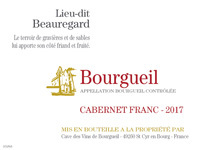 With a historic underground following, it is one of the longest lasting and best known red blends produced today. Marietta’s flagship NV Old Vine Red Lot Number 67 is a combination of wine from the 2016, 2015, and 2014 vintages. 60% aged in neutral barrels and 40% aged in stainless steel. Dry, fruit-forward, rich, supple. Ripe, juicy fruit and a lush mouth feel are the hallmarks of Old Vine Red, with peppery spice and dusty earth adding an extra level of richness. Moderate but focused tannins ensure this blend will stand up to almost any food. Space is Limited Sign up now! or Call us at 803 279 9522 to reserve your space. All Attendees will receive their own Riedel wine glass! 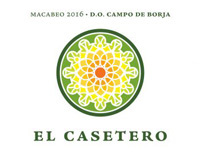 Attendees will be offered special prices when ordering these wines. Pre-Paid reservation is required to save your place. 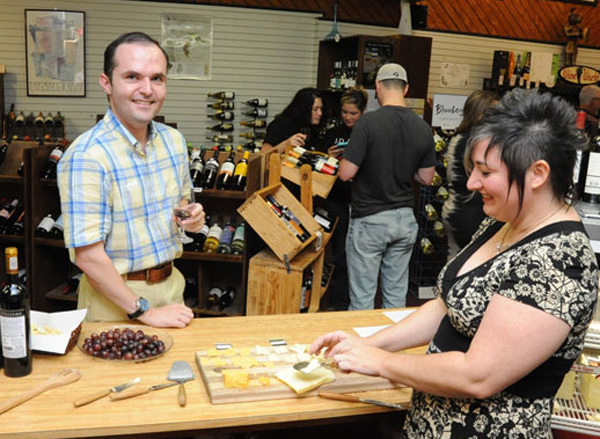 Oregon Wines, Pinot Noir and More! 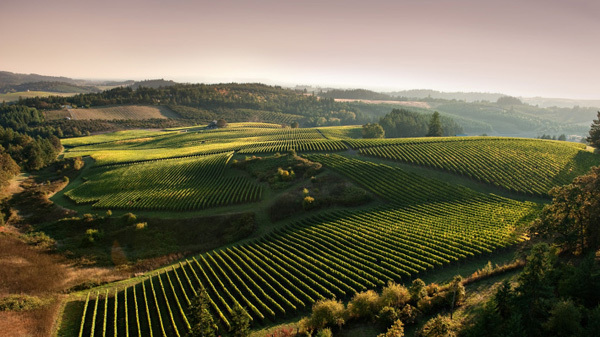 Oregon is known for producing great Pinot Noir. We’ll taste some prime examples, along with a few stunning whites, and a wonderful Syrah. Kaitlin worked in the Willamette Valley at Beaux Frères winery for two years. Working with Advintage, she sells wine and beer from all over the globe, but Oregon holds a special place in her heart. 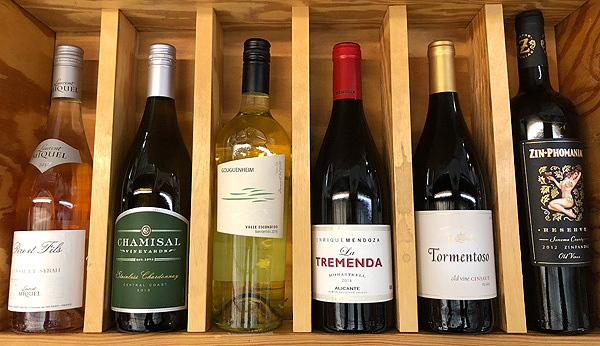 Kaitlin knows the wines and the producers, and she has hand picked some of her favorite wines from the region for our seminar. 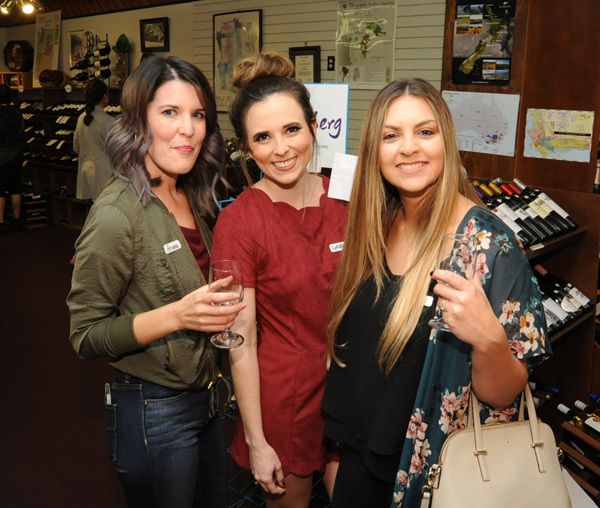 Join us for a fantastic evening of Oregon Wine! We’ll taste ten wines with a midway break for tasty tidbits. Medium yellow-green hue. Fresh on the nose with aromatic herbs, lime, stone fruit and touches of mineral. Vivid, fresh and long on the palate with apricot, white pepper and lime notes. 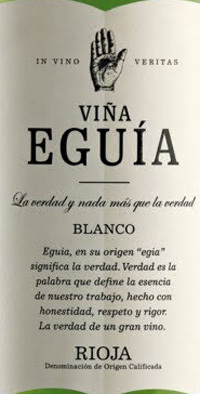 Balanced acidity and body with great intensity of flavor. linguine with white clam sauce, goat cheese. Romas of Gravenstein apple, Bartlett pear, honeysuckle and orchid on the nose. A palate of orange blossom, orange zest, lemon and honeydew melon with hint of delicate sweetness, but with a touch of seaside minerality. Grilled salmon on a sunlit evening. Presents with aromas of fresh peaches and stone fruits, has a delicate sweetness on the mid palate and finishes with a mix of sweet apple and elderflower. Grilled Citrus Shrimp with Vegetable Slaw, Stuffed Pork Tenderloins with Bacon and Apple Riesling Sauce. Tasting note: Deep ruby-red. 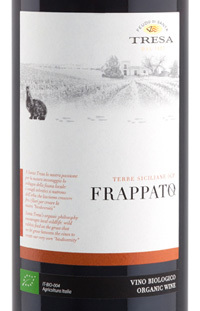 Very expressive, complex bouquet, featuring fresh fruit aromas (blackberry) with hints of violet, bitter chocolate and coffee. It starts out full-bodied and soft on the palate, following through with jammy red-berry fruit. Food & Wine Pairing: Grilled or roasted red meats, game, flavorful roast poultry (e.g. turkey with cranberry sauce). 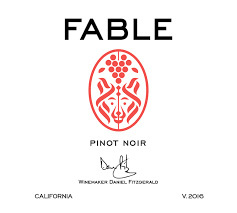 The 2016 Fable Pinot Noir showcases dark, red/purple in the glass. The nose is generous with ripe, plummy fruit and bright, freshly sliced strawberries. The palate is well structured yet wound with silky layers of spicy hibiscus and cinnamon and finishes soft, supple and satsfyingly long. Enticing Aromas of blackberry, Mocha, black cherry vanilla and a touch of dried herb. The palate is robust, yet supple, with generous flavors of layered fruit that is beautifully framed by polished tannins and a long toasty finish. Burgers, Pizza, Grilled Steak, Pasta Puttanesca. 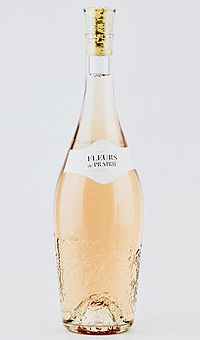 Crafted in the traditional Provencal style, Fleurs de Prairie is a pale salmon color with delicate flavors of strawberry, rose petals and herbs. 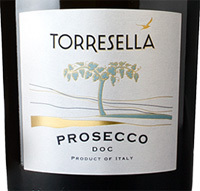 Its bright, refreshing acidity makes it a perfect companion with a meal or as an aperitif. Lemony fresh and breezy on the nose, with aromas of wet stone, apricot, pear, and Maraschino cherry. Bone-dry and mineral-laden on the palate, it presents fresh squeezed lemon juice with just a hint of green apple skin. 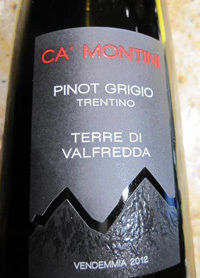 Pairs well with a variety of dishes including fish, white meats, soups, pasta and risotto. Vibrant aromas of grapefruit and lemon with subtle grassy characters and a crisp clean finish. This wine is a fine accompaniment to shellfish or on its own. The nose shows blueberry with earthiness, undergrowth and herbs. Light smoky cherry with a hint of tart notes. Chunky ‘chewy’ smoky sour cherry & tarry minerality. Juicy raspberry, wild strawberry, aniseed and red liquorice. Complex. Youthful. Dry. Typical Italian high acidity. Med tannins, med body, med+ finish. Lovely juicy fresh cherry, strawberry, raspberry. A good food wine. Deep, shining red color. Very mineral on the nose, with strong evidence of calcareous soils, such as chalk. Very fresh on entry, with great volume and texture. The tannins are somewhat edgy and the finish is a long one. The destemmed grapes fermented in cement vats with indigenous yeasts and was kept in those vats between five and ten months until bottling, as there are four bottling lots. The nose is very fruit-driven and mixes berries with a hint of pollen and honey, giving it an accessible and easy to understand profile. The palate is juicy, with cherry flavors and almost unnoticeable tannins. It ends dry, with seriousness. 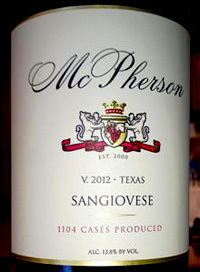 Sangiovese is an Italian Cultivar well suited for sometimes unforgiving climates. We have worked with this variety more than a decade and developed a consistent style in homage to our favorite Chianti table wines of Tuscany. Notes of red licorice, black cherry cola, and bright balsamic strawberry. The wine ages in neutral French oak, adding a beautiful texture that brings further depth and richness to this wine. Banfi was founded in 1978 by Italian-American brothers, John and Harry Mariani. The brothers goal was to create a state-of-the-art winery combined with the most advanced science in the vineyards for the production of premium wines. The wines of Banfi are born of a passion and love for unique terroirs, from continuous research, and from the intimate knowledge of different territories and the ability to marry time tested and respected techniques with innovative solutions in both the vineyard and the winery. 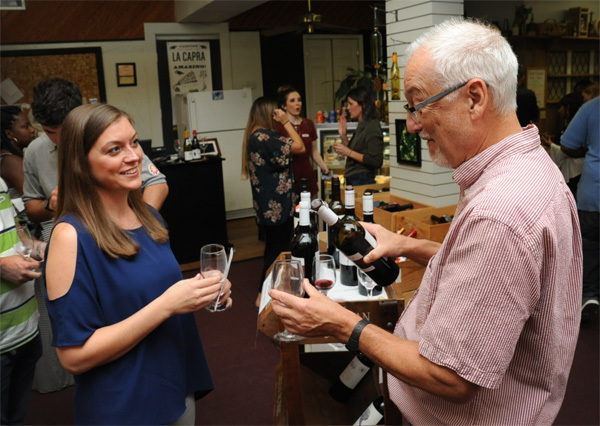 Jacob Gragg is the fine wine specialist for Cru Artisan wines, the luxury agent of the Banfi portfolio, and earned his Advanced Sommelier from the Court of Master Sommeliers at the age of 24. He is also a Certified Specialist of Wine, and was named one of the Best New Sommeliers of 2012 by Wine & Spirits magazine. Many people love sake but find it intimidating and indecipherable. Joto’s mission is to serve as a bridge between Japanese artisanal sake and the American market. They aim to bring the world of artisanal sake to life without “dumbing it down,” “Americanizing” it. 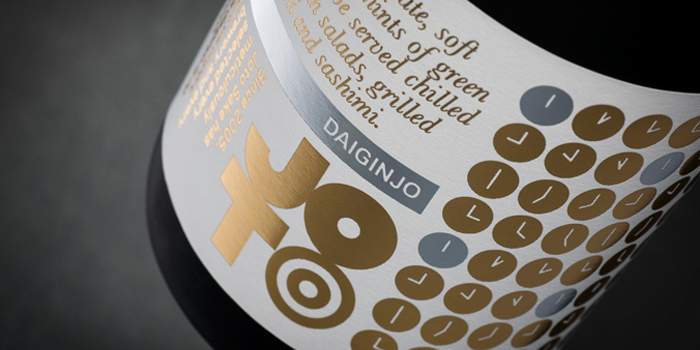 Joto is Japanese for “highest level” and describes the makers of our sake and our aspirations as their importer. They are the exclusive importer for multi-generational, family-owned breweries whom they identify and approach after trying their sake in Japan and reading about their brands in Japanese food and beverage publications. Our jizake (local) breweries are located throughout Japan, producing sake in small batches with locally-raised indigenous rice varieties, offering flavors and styles ideal for a range of cuisines. Our passion for breweries that have rich and wonderful histories makes them fun to learn about and explore. 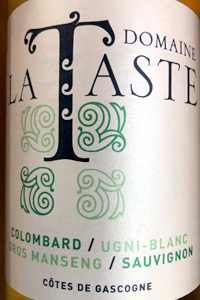 60% Colombard, 20% Ugni Blanc, 11% Gros Manseng and 9% Sauvignon Blanc. In the glass, the wine is a light gold with green highlights. Aromas of ripe grapefruit, white peach and white flowers explode from the glass in a concentrated, inviting manner, accented with a subtle, mineral earthiness. The first sip of this wine displays an intensity of flavor that is eye-opening. There is a beautiful texture to the wine and a subtle note of honey that adds to its complexity. A fresh, vibrant acidity washes across the palate and leads to a zesty finish that calls you back for more. Enjoy with a tomato and watermelon salad, zucchini pancakes or quinoa-stuffed peppers. The fresh, balanced taste of clean slate is achieved by carefully selecting grapes from vineyards throughout the Mosel. 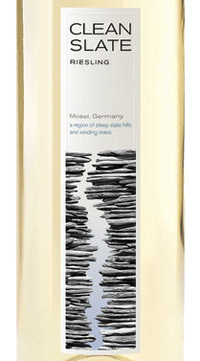 The steep blue slate slopes of the Lower Mosel give the wine its minerality while the Middle Mosel provides a hint of spice to complement the characteristics fresh peach flavors of the Upper Mosel. The result is a clean, fresh flavor that is delicious with food and perfect to share with friends. Pairs beautifully with spicy cuisines, Asian, Tex-Mex, Indian and sushi. 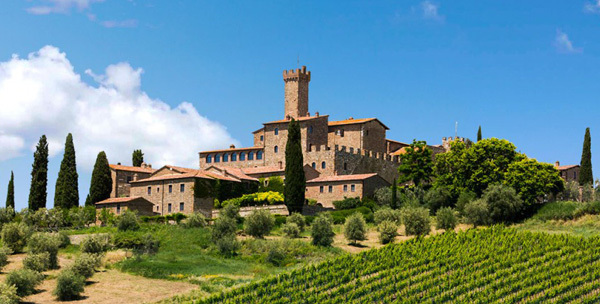 Chianti, Tuscany, Italy- Vibrant fruit complements the floral bouquet of this wine, made, like all Chiantis, primarily from the Sangiovese grape. 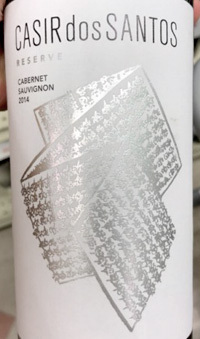 A hint of flowers on top of red cherry and herbs with flavors of ripe cherry, raspberry, chocolate and spice leading to nice tannins and a solid finish. 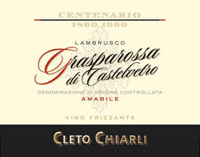 Serve this wine with hamburgers, Tuscan Crostini, Cold Cuts, Roasted Meats. Lovely deep red color, with ripe blackberry fruit. The spiciness of the nose is echoed on the palate and combines well with juicy red fruit flavors. Well integrated oak and fine tannins ensures a long and classic finish. Red meat, pasta, lamb. lamb or pork, sautéed asparagus and curried deviled eggs. 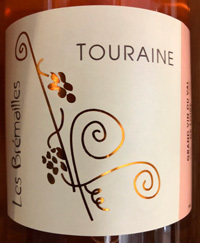 Characterized by a beautiful pale pink robe, this Cinsault Syrah epitomizes the best of southern French rosés with fruit-forward flavours and perfect balance. The Cinsault adds a fresh, smooth texture to the blend and the Syrah reveals delicious red fruit flavours with a dramatic colour. Delicious on its own or with salads, cold meats, chicken dishes and barbecues. You can even try it with shellfish or light spicy foods! Tropical notes of juicy Satsuma, ripe kiwi and mango are highlighted by aromas of candied lemon peel, apple blossom and refreshing minerality. The palate supports the nose, revealing the Stainless winemaking with its round, weighty mouthfeel. 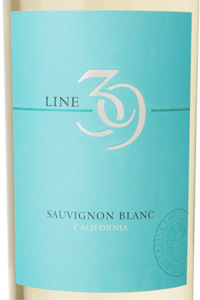 Crisp acidity and flavors of white nectarine, papaya and key lime pie round out the clean, lingering finish. Baked whitefish, Grilled Tarragon Chicken. Bright approachable nose of honeysuckle, canned peaches, Asian pear, vanilla bean, slight geranium. Light bodied, almost airy, but with reasonably strong pear, lemon, tangerine, peach, and cantaloupe notes. 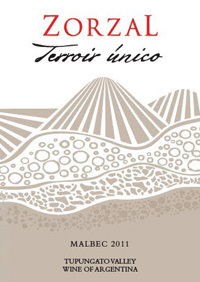 Mildly saline and perfumed, with gentle acidity and some minerals. Geranium floral elements more prominent in the finish than on the nose. A ruby-red Cinsaut showing faint spice, cinnamon and red cherries on the nose, followed through by strawberries and cream on the palate. This juicy wine with silky berry-fruit flavours is backed by earthy, cigar-box-aromas and soft oak tannins. Will pair nicely with a wide range of dishes; try with margherita pizza, seafood pasta, cottage pie and spareribs. The grapes for this old-vine wine come from various appellations within Sonoma, including Dry Creek and Sonoma Valley. 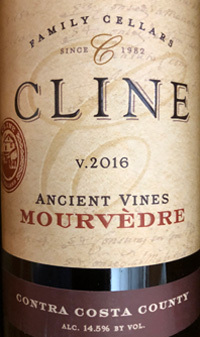 The Zin is blended with mixed blacks and Mourvèdre. Aromas of tobacco, cola, plum and clove. Wild raspberry, plum, cherry and molasses flavors are complemented by white pepper, anise and clove flavors on the spicy lingering finish. California Family Values means Great Wine! We’ll taste ten high-end wines from several iconic family owned California wineries. We’ve decided to up our Glassware game for this seminar. You’ll get your very own Riedel glass to use during the event and take home with you! Deeper discounts on some items! 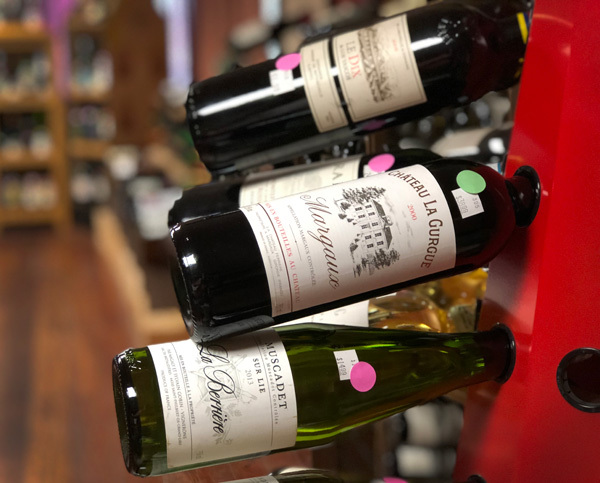 We’ve added several wines and beers to the SALE room. 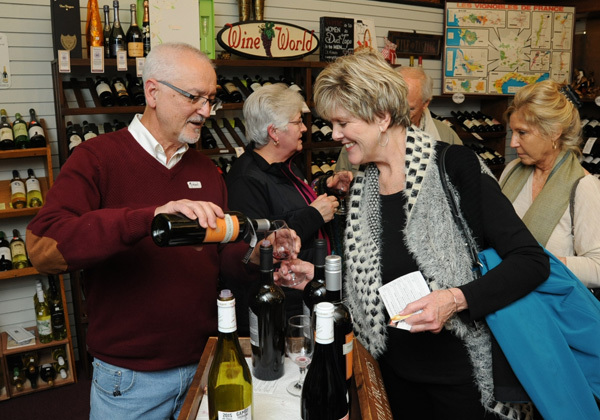 We’ll taste a bunch of the wines on Thursday, Friday, and Saturday! Drop by the shop, see what’s open to taste, and grab some deals from the front room!